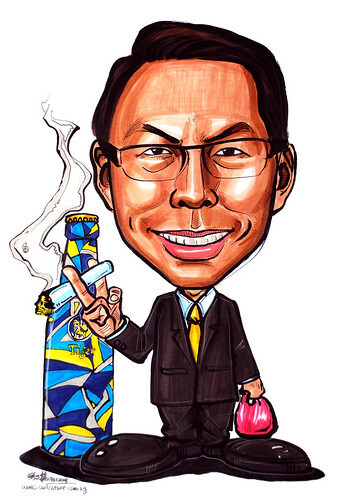 I have another colleague who is leaving and we would like to do a caricature for him. The concept is that we want him to be standing in front of this tiger rostarr bottle. The person should be holding a cigarette on his right hand and left hand carrying a take away packet food with the kind of pink plastic bag. " Saw this bottle on TV and newspaper, but haven't seen the actual one. Very nice and unique design for a beer bottle.